The CS18-4T5HO is designed for commercial, industrial, retail, and residential environments. 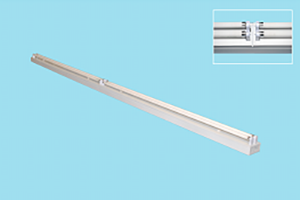 As probably the most common of the industrial style fixtures, the economical strip fixture allows for 180 degree light dispersal as opposed to other types of fixtures that aim the light down towards the floor. The fixture profile, features, and simple mounting process make the CS18-4T5HO a perfect choice for the contractor and end user.